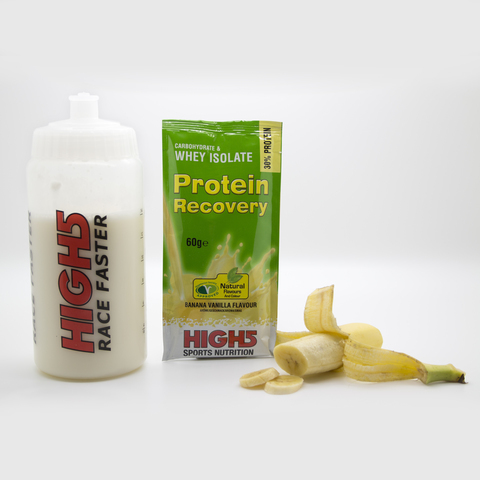 Home › Protein Recovery: The ultimate protein / carbohydrate shake for after sport. Mix with milk or water. 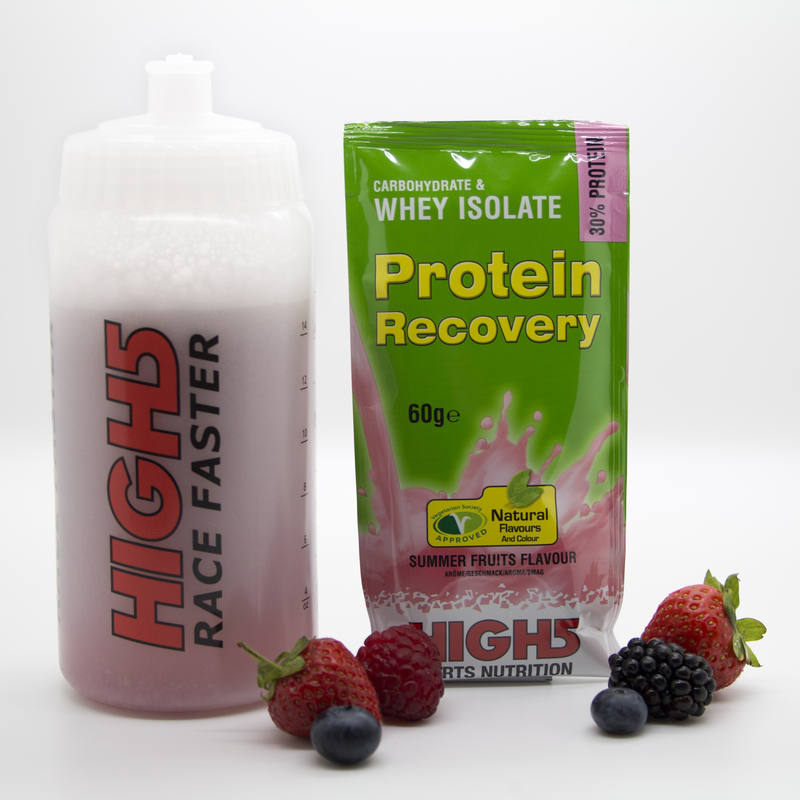 Protein Recovery is a delicious tasting protein drink. The ingredients used in this scientifically formulated blend of protein and carbs promote recovery of normal muscle function² after exercise and contribute to the growth and maintenance of muscle mass¹. Muscles become sore and stiff when they are stressed during exercise. The depletion of muscle glycogen (muscle carb stores) can impair muscle function resulting in fatigue and reduced exercise performance. The unique forms of protein and carbohydrate in Protein Recovery are chosen to ensure you recover after intense long lasting exercise² and turn up ready to perform at your next training session. There is no need for a shaker, Protein Recovery mixes easily with water or milk. 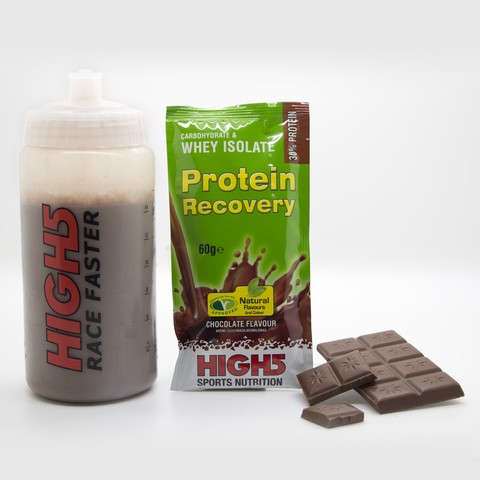 Consume one serving of Protein Recovery in the first hour after hard exercise. You can also take another one or two servings later in the day or just before you go to bed. You can also use milk substitutes such as coconut, soy or rice milk. You can also mix it with water should you want to. • With whey protein isolate (which contains BCAA’s). The whey protein isolate in ProteinRecovery is the very highest quality. The Food & Agricultural Organisation have an internationally recognised method to compare the quality of various proteins. This is known as the Protein Digestibility Corrected Amino Acid Score (PDCAAS). An ideal protein will have a PDCAAS score of 1.0. 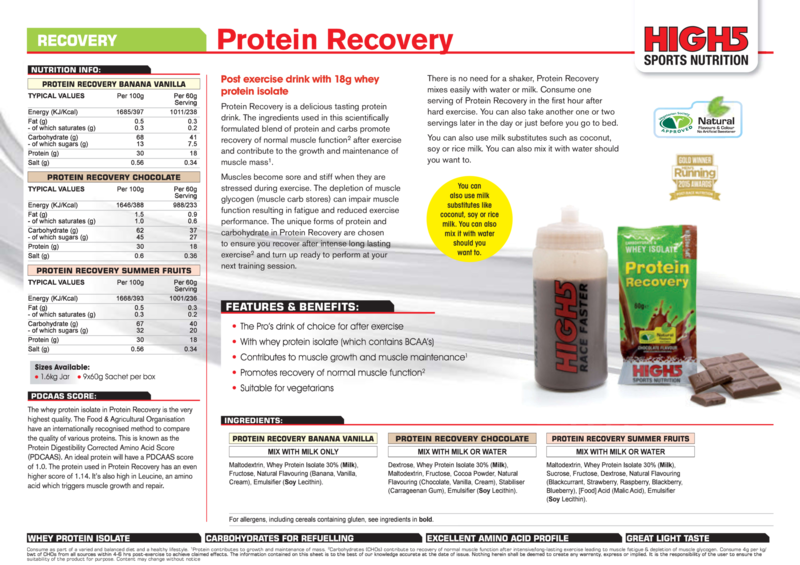 The protein used in Protein Recovery has an even higher score of 1.14. It’s also high in Leucine, a branch chain amino acid. Consume as part of a varied and balanced diet and a healthy lifestyle. 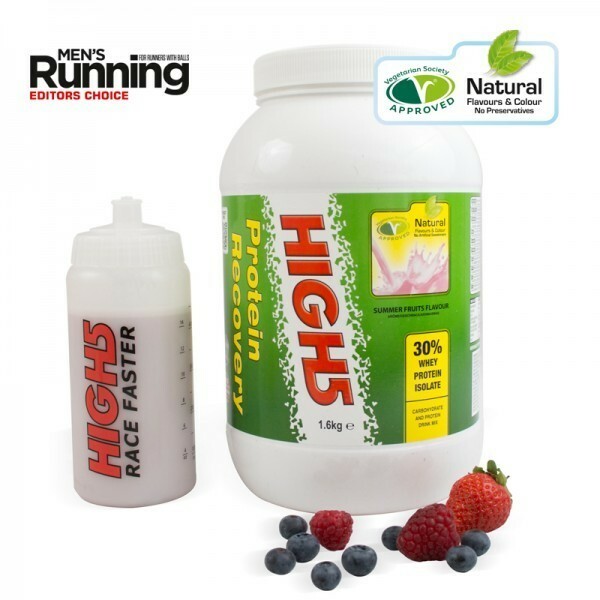 ¹Protein contributes to growth and maintenance of mass²Carbohydrates (CHOs) contribute to recovery of normal muscle function after intensive/long-lasting exercise leading to muscle fatigue & depletion of muscle glycogen. Consume 4g per kg/bwt of CHOs from all sources within 4-6 hrs post-exercise to achieve claimed effects.